I read an article in one of those trashy grocery-store-line magazines recently about how celebrities like Whitney Port (yes, I realize she's not really a celebrity, but they termed her that, okay?) in Hollywood and NYC like to go to special salons for regular professional hair styling OTHER than wash, cuts and color. 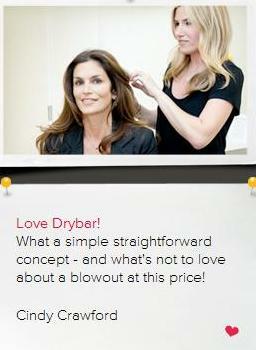 It's called a "blow dry bar" and one of them, Dry Bar, has arrived here in Atlanta! Their gig? "No cuts. No color. Just blowouts." In NYC, it's a $40 job, but here in Atlanta, they will be running the same options for $35. While I thankfully have learned well from my stylist over the years how to best blow out and style my own hair, she has told me that a lot of girls and women do not know the first thing about achieving that hair salon look at home. 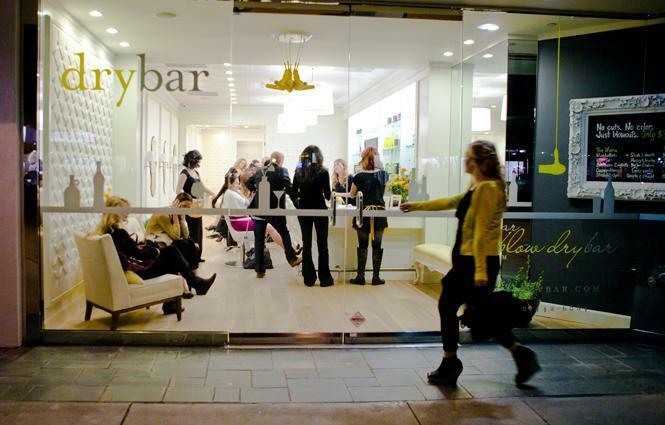 It's no wonder that places like Dry Bar have been invented. Need to look like a stunner for that interview, or that big date night? You could swing by their new location opening today on West Paces for some quickie help. 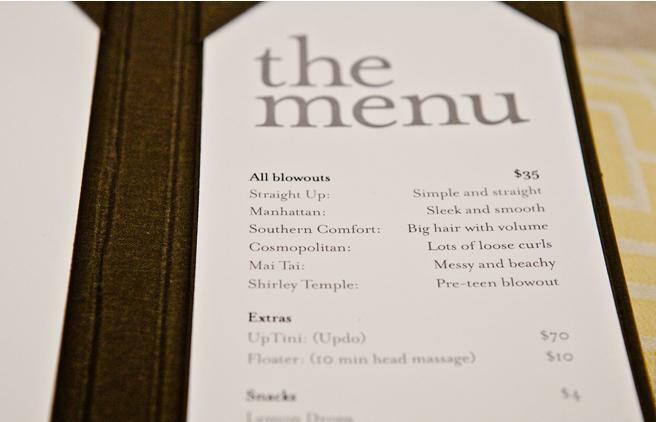 Of course, the Budget in me likes that they offer a monthly "The Regular" membership for $65, which gets you two blowouts and a massage, too, plus a percent off products. And oh my goodness, they even offer parties for all your besties, too - how fun would that be as part of a Bachelorette party night?! They also offer them during brunch with complimentary brunchy fare, too. ive been so excited about the Dry Bar Buckhead for MONTHS!! i prebooked my appointment weeks ago and can't wait until tonight. nothing better than looking fabulous for the bars :) and the best part is i only have to wash my hair every 2 days so it will be worth the 35 for a weekend! 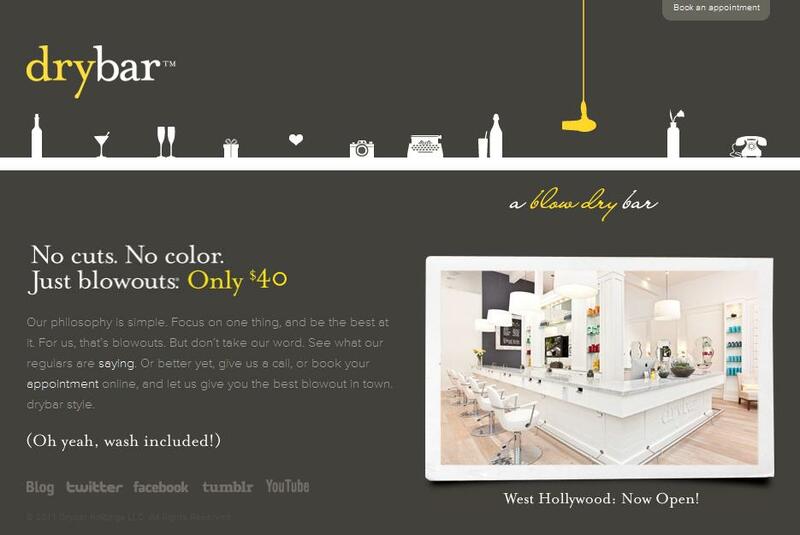 I have been to the DryBar in Brentwood, Ca. My hubby got me a gift certificate for our anniversary last year. I fell in LOVE with this place. It is pretty popular here in LA. I combined the Southern Comfort and Cosmo styles. My hair doesn't hold curl very well. I asked my stylist to do over the top curls knowing they would fall throughout the day. They did and I looked fab for my bday dinner later that evening. One tip, book early for NYE. They fill up quick! Ooh, that sounds so fun! I love that idea! Britt - wow! What a wonderful gift, and what a wonderful hubby for thinking of it :) That's a good tip on the style combo - thank you for sharing it!